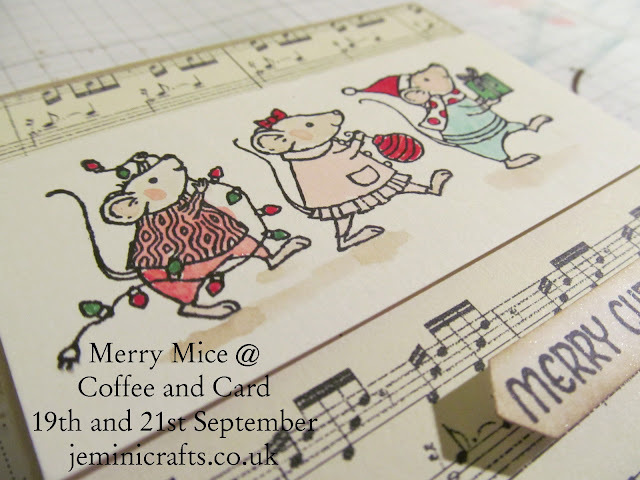 These mice from the Merry Mice stamp set are SO cute. 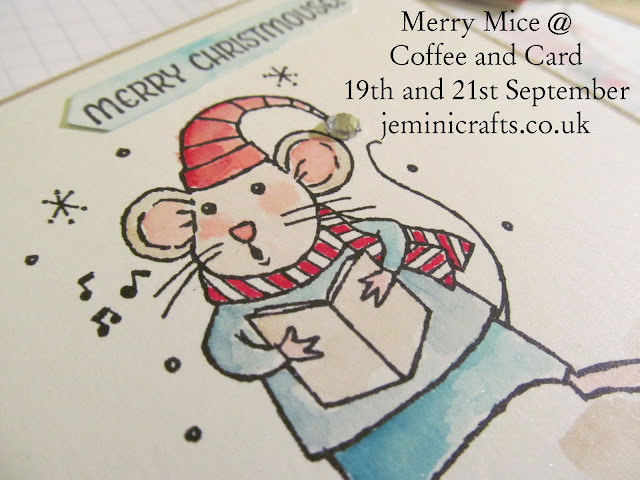 I decided to use the set for #coffeeandcard this week, as there are 3 main images, so my crafters have a choice which to use, and then they can spend time colouring in. 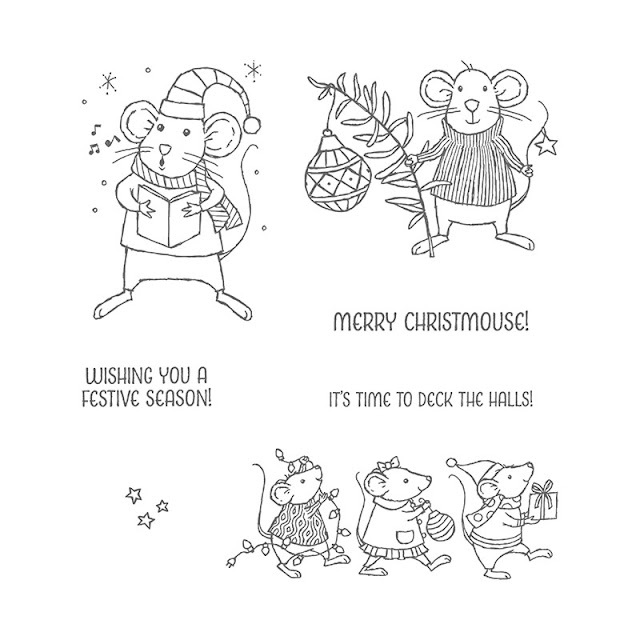 The stamp set also has some fun greetings - more information can be found by clicking on any of the images, or on page 23 of the Autumn/Winter catalogue. 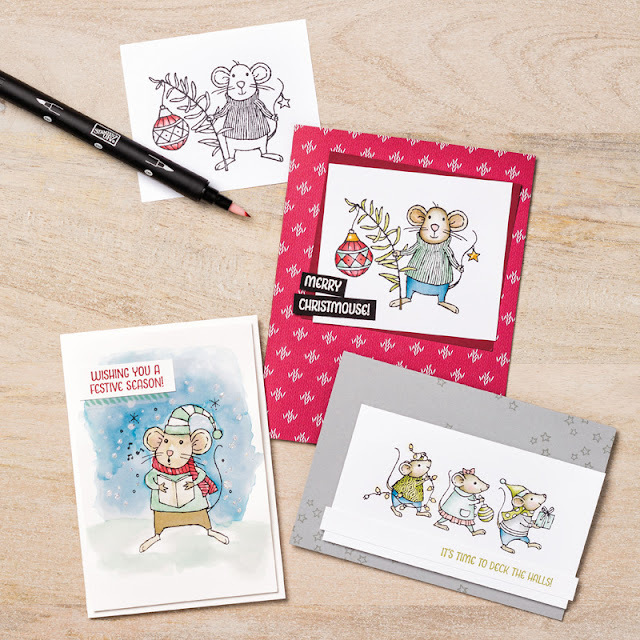 This set is ASLO available with French or German text.